Once you have landed on the public med website. simply type in Dr. Babizhayev’s last name only (Babizhayev) into the search field at the top of the page. 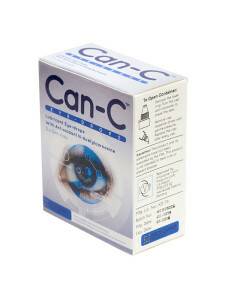 You will access all of the available publications on Can-C™ eye drops. Am J Ther. 2009 Nov-Dec;16(6):517-33. N-acetylcarnosine lubricant eyedrops possess all-in-one universal antioxidant protective effects of L-carnosine in aqueous and lipid membrane environments, aldehyde scavenging, and transglycation activities inherent to cataracts: a clinical study of the new vision-saving drug N-acetylcarnosine eyedrop therapy in a database population of over 50,500 patients. Babizhayev MA, Micans P, Guiotto A, Kasus-Jacobi A. Scientists at Innovative Vision Products, Inc. (IVP), developed lubricant eye drops designed as a sustained-release 1% N-acetylcarnosine prodrug of L-carnosine. The eye drops contain a mucoadhesive cellulose-based compound combined with corneal absorption promoters and glycerine in a drug-delivery system. Anti-aging therapeutics with the ophthalmic drug eye drop formula including N-acetylcarnosine showed efficacy in the nonsurgical treatment of age-related cataracts for enrolled participants in the prospective, randomized, double-masked, placebo-controlled crossover clinical trial after controlling for age, gender, and daily activities. In a cohort in excess of 50,500 various patients seeking cutting-edge medical care, the N-acetylcarnosine topical eyedrops target therapy was demonstrated to have significant efficacy, safety, and good tolerability for the prevention and treatment of visual impairment in this older population with relatively stable patterns of causes for blindness and visual impairment. Overall, accumulated study data demonstrate that the IVP-designed new vision-saving drugs, including N-acetylcarnosine eyedrops, promote health vision and prevent vision disability from senile cataracts, primary open-angle glaucoma, age-related macular degeneration, diabetic retinopathy, and aging. N-acetylcarnosine eye drop therapy is the crown jewel of the anti-aging medical movement and revolutionizes early detection, treatment, and rejuvenation of aging-related eye-disabling disorders. N-acetylcarnosine, as an innovative medical science tool and component of the home medicine and alternative medicine approaches, has the potential to alleviate visual impairment and its associated social, economic, and political woes for an aging population. Clin Interv Aging. 2009;4:31-50. Epub 2009 May 14.Babizhayev MA, Burke L, Micans P, Richer SP. N-Acetylcarnosine sustained drug delivery eye drops to control the signs of ageless vision: glare sensitivity, cataract amelioration and quality of vision currently available treatment for the challenging 50,000-patient population. BACKGROUND: Innovative Vision Products, Inc. (IVP)’s scientists developed the lubricant eye drops (Can-C) designed as 1% N-acetylcarnosine (NAC) prodrug of L-carnosine containing a mucoadhesive cellulose-based compound combined with corneal absorption promoters in a sustained drug delivery system. Only the natural L-isomeric form of NAC raw material was specifically synthesized at the cGMP facility and employed for the manufacturing of Can-C eye drops. OBJECTIVE AND STUDY DESIGN: In the present clinical study the authors assessed vision before and after 9 month term of topical ocular administration of NAC lubricant eye drops or placebo in 75 symptomatic patients with age-related uncomplicated cataracts in one or both eyes, with acuity in one eye of 20/40 or worse (best-corrected distance), and no previous cataract surgery in either eye and no other ocular abnormality and 72 noncataract subjects ranged in age from 54 to 78 years. SETTING: Subjects in these subsample groups have reported complaints of glare and wanted to administer eye drops to get quick eye relief and quality of vision for their daily activities including driving and computer works. Following 9 months of treatment with NAC lubricant eye drops, most patients’ glare scores were improved or returned to normal in disability glare tests with Halometer DG. Improvement in disability glare was accompanied with independent improvement in acuity. Furthermore, patients with the poorest pretreatment vision were as likely to regain certain better visual function after 9 months of treatment with N-acetylcarnosine lubricant eye drops as those with the worth pretreatment vision. PATIENTS OR OTHER PARTICIPANTS: The authors made a reference to electronic records of the product sales to patients who have been made the repurchase of the Can-C eye drops since December 2001. INTERVENTION: Based on this analysis of recorded adjustments to inventory, various parameters were analyzed during the continued repurchase behavior program, including testimonials from buyers. With these figures, researchers judged on the patients’ compliance rate to self-administer NAC eye-drops. MAIN OUTCOME MEASURE AND RESULTS: The ophthalmic drug showed potential for the non-surgical treatment of age-related cataracts for participants after controlling for age, gender and daily activities and on a combined basis of repurchases behavior reports in more than 50,000 various cohort survivors, has been demonstrated to have a high efficacy and good tolerability for prevention and treatment of visual impairment determined for the older population with relative stable pattern of causes for blindness and visual impairment. The mechanisms of prevention and reversal of cataracts with NAC ophthalmic drug are considered which include prevention by the intraocular released carnosine of free-radical-induced inactivation of proprietary lens antioxidant enzymes (superoxide dismutase); prevention of carbohydrate and metal-catalyzed autooxidation of ascorbic acid-induced cross-linking glycation reactions to the lens proteins; transglycation properties of carnosine, allowing it to compete for the glycating agent, protecting proteins (lens crystallins) against modification; universal antioxidant and scavenging activity towards lipid hydroperoxides, aldehydes and oxygen radicals; activation with l-carnosine ingredient of proteasome activity in the lens; chaperone-like disaggregating to lens crystallins activity of NAC and of its bioactivated principal carnosine. Blindness incidence increased with advancing age, such as cataract and glaucoma, which are by far the commonest causes of blindness in our sample and in all age groups, glaucomatous neurodegeneration can be treated with developed NAC autoinduction prodrug eye drops equipped with corneal absorption promoters. The common blinding affections presenting in developed countries such as, senile macular degeneration, hereditary chorioretinal dystrophies, diabetic retinopathy are poorly represented in our current summary of vital-statistics and will be reported inherent in next N-acetylcarnosine ophthalmic drug studies. CONCLUSION: The authors present evidence, about why only a certain kind of NAC is safe, and why only certain formulas designed by Innovative Vision Products for drug discovery are efficacious in the prevention and treatment of senile cataract for long-term use. Overall cumulated studies demonstrate that the designed by Innovative Vision Products new vision-saving drug NAC eye drops help the aging eye to recover by improving its clarity, glare sensitivity, color perception and overall vision. Drugs R D. 2004;5(3):125-39. Lipid peroxidation and cataracts: N-acetylcarnosine as a therapeutic tool to manage age-related cataracts in human and in canine eyes. Babizhayev MA, Deyev AI, Yermakova VN, Brikman IV, Bours J.
Cataract formation represents a serious problem in the elderly, with approximately 25% of the population aged >65 years and about 50% aged >80 years experiencing a serious loss of vision as a result of this condition. Not only do cataracts diminish quality of life, they also impose a severe strain on global healthcare budgets. In the US, 43% of all visits to ophthalmologists by Medicare patients are associated with cataract. Surgery represents the standard treatment of this condition, and 1.35 million cataract operations are performed annually in the US, costing 3.5 billion US dollars (year of costing, 1998). Unfortunately, the costs of surgical treatment and the fact that the number of patients exceeds surgical capacities result in many patients being blinded by cataracts worldwide. This situation is particularly serious in developing countries; worldwide 17 million people are blind because of cataract formation, and the problem will grow in parallel with aging of the population. In any event, surgical removal of cataracts may not represent the optimal solution. Although generally recognised as being one of the safest operations, there is a significant complication rate associated with this surgical procedure. Opacification of the posterior lens capsule occurs in 30-50% of patients within 2 years of cataract removal and requires laser treatment, a further 0.8% experience retinal detachments, approximately 1% are rehospitalised for corneal problems, and about 0.1% develop endophthalmitis. Although the risks are small, the large number of procedures performed means that 26,000 individuals develop serious complications as a result of cataract surgery annually in the US alone. Thus, risk and cost factors drive the investigation of pharmaceutical approaches to the maintenance of lens transparency. The role of free radical-induced lipid oxidation in the development of cataracts has been identified. Initial stages of cataract are characterized by the accumulation of primary (diene conjugates, cetodienes) lipid peroxidation (LPO) products, while in later stages there is a prevalence of LPO fluorescent end-products. A reliable increase in oxiproducts of fatty acyl content of lenticular lipids was shown by a direct gas chromatography technique producing fatty acid fluorine-substituted derivatives. The lens opacity degree correlates with the level of the LPO fluorescent end-product accumulation in its tissue, accompanied by sulfhydryl group oxidation of lens proteins due to a decrease of reduced glutathione concentration in the lens. The injection of LPO products into the vitreous has been shown to induce cataract. It is concluded that peroxide damage of the lens fibre membranes may be the initial cause of cataract development. N-acetylcarnosine (as the ophthalmic drug Can-C), has been found to be suitable for the nonsurgical prevention and treatment of age-related cataracts. This molecule protects the crystalline lens from oxidative stress-induced damage, and in a recent clinical trial it was shown to produce an effective, safe and long-term improvement in sight. When administered topically to the eye in the form of Can-C, N-acetylcarnosine functions as a time-release prodrug form of L-carnosine resistant to hydrolysis with carnosinase. N-acetylcarnosine has potential as an in vivo universal antioxidant because of its ability to protect against oxidative stress in the lipid phase of biological cellular membranes and in the aqueous environment by a gradual intraocular turnover into L-carnosine. In our study the clinical effects of a topical solution of N-acetylcarnosine (Can-C) on lens opacities were examined in patients with cataracts and in canines with age-related cataracts. These data showed that N-acetylcarnosine is effective in the management of age-related cataract reversal and prevention both in human and in canine eyes. Rejuvenation Res. 2004 Fall;7(3):186-98. Rejuvenation of visual functions in older adult drivers and drivers with cataract during a short-term administration of N-acetylcarnosine lubricant eye drops. Babizhayev MA. Innovative Vision Products, Inc. Moscow Division, Ivanovskaya 20, Suite 74, Moscow 127434, Russian Federation. The purpose of this study was to examine using the original halometer glare test of the type of visual impairment mediated by the increased glare sensitivity (halos) and associated with poorer visual function in both the better and worse eyes of older adult drivers and older drivers with cataract. The clinically validated (by Innovative Vision Products Inc.) formula of 1% N-acetylcarnosine (NAC) lubricant eye drops were applied topically to the eyes of older drivers to reduce glare disability and improve distance acuities for driving. This was a randomized, double-blind, placebo-controlled study. The examined subjects consisted of 65 older adults, with cataract in one or both eyes, and 72 adult drivers who did not have cataract in either eye. In the control group, comparison with baseline values showed some variability of data in gradual worsening of glare sensitivity at red and green targets and minimal VA changes over 4 months. In the NAC-treated group, 4-month follow-up generally showed an improvement in VA and a significant improvement in glare sensitivity at red and green targets was documented in worse and better eyes using a critical cut point halometer score for driving. The NAC-treated eyes had statistically significant difference in VA, glare sensitivity compared with the control group ( p < 0.001) at 4-month timepoint of treatment, as supported by the overall t-test results of the ratio of the follow-up data to the baseline values. Tolerability of NAC eyedrops was good in almost all patients, with no reports of ocular or systemic adverse effects. It would be advisable for traffic safety if a Halometer glare sensitivity test was implemented for vehicles and/or was regularly added to the requirements for a driver’s licence. The results of this study provide a substantial basis for further evaluation of NAC in the treatment and prevention of vision impairment in the older population of drivers for legal driving. The developed ophthalmic drug NAC formula showed potential for the non-surgical treatment of age-related cataracts. Peptides. 2001 Jun;22(6):979-94. N-Acetylcarnosine, a natural histidine-containing dipeptide, as a potent ophthalmic drug in treatment of human cataracts. Babizhayev MA, Deyev AI, Yermakova VN, Semiletov YA, Davydova NG, Kurysheva NI, Zhukotskii AV, Goldman IM. Innovative Vision Products, Inc., County of New Castle, DE 19810, USA. A study was designed to document and quantify the changes in lens clarity over 6 and 24 months in 2 groups of 49 volunteers (76 eyes) with an average age of 65.3 +/- 7.0 enrolled at the time of diagnosis of senile cataracts of minimal to advanced opacification. The patients received N-acetylcarnosine, 1% sol (NAC) (26 patients, 41 eyes = Group II), placebo composition (13 patients, 21 eyes) topically (two drops, twice daily) to the conjunctival sac, or were untreated (10 patients, 14 eyes); the placebo and untreated groups were combined into the control (reference) Group I. Patients were evaluated upon entry, at 2-month (Trial 1) and 6-month (Trial 2)-intervals for best corrected visual acuity (b/c VA), by ophthalmoscopy and the original techniques of glare test (for Trial 1), stereo cinematographic slit-image and retro-illumination photography with subsequent scanning of the lens. The computerized interactive digital analysis of obtained images displayed the light scattering/absorbing centers of the lens into 2-D and 3-D scales. The intra-reader reproducibility of measuring techniques for cataractous changes was good, with the overall average of correlation coefficients for the image analytical data 0.830 and the glare test readings 0.998. Compared with the baseline examination, over 6 months 41.5% of the eyes treated with NAC presented a significant improvement of the gross transmissivity degree of lenses computed from the images, 90.0% of the eyes showed a gradual improvement in b/c VA to 7-100% and 88.9% of the eyes ranged a 27-100% improvement in glare sensitivity. Topographic studies demonstrated less density and corresponding areas of opacification in posterior subcapsular and cortical morphological regions of the lens consistent with VA up to 0.3. The total study period over 24 months revealed that the beneficial effect of NAC is sustainable. No cases resulted in a worsening of VA and image analytical readings of lenses in the NAC-treated group of patients. In most of the patients drug tolerance was good. Group I of patients demonstrated the variability in the densitometric readings of the lens cloudings, negative advance in glare sensitivity over 6 months and gradual deterioration of VA and gross transmissivity of lenses over 24 months compared with the baseline and 6-month follow-up examinations. Statistical analysis revealed the significant differences over 6 and 24 months in cumulative positive changes of overall characteristics of cataracts in the NAC-treated Group II from the control Group I.The N-acetylated form of natural dipeptide L-carnosine appears to be suitable and physiologically acceptable for nonsurgical treatment for senile cataracts. Efficacy of N-acetylcarnosine in the treatment of cataracts. Babizhayev MA, Deyev AI, Yermakova VN, Semiletov YA, Davydova NG, Doroshenko VS, Zhukotskii AV, Goldman IM.Innovative Vision Products, Inc., County of Newcastle, Delaware, USA. PURPOSE: To evaluate the effects of 1% N-acetylcarnosine (NAC) solution on lens clarity over 6 and 24 months in patients with cataracts. TRIAL DESIGN: Randomised, placebo-controlled study. PARTICIPANTS: 49 subjects (76 affected eyes) with an average age of 65.3 +/- 7.0 years with a diagnosis of senile cataract with minimum to advanced opacification in various lens layers. METHODS: 26 patients (41 eyes) were allocated to topical NAC 1% eyedrops twice daily. The control group consisted of 13 patients (21 eyes) who received placebo eyedrops and 10 patients (14 eyes) who did not receive eyedrops. MAIN OUTCOME MEASURES: All patients were evaluated at entry and followed up every 2 months for a 6-month period (trial 1), or at 6-month intervals for a 2-year period (trial 2), for best-corrected visual acuity and glare testing. In addition, cataract was measured using stereocinematographic slit-images and retro-illumination examination of the lens. Digital analysis of lens images displayed light scattering and absorbing centres in two- and three-dimensional scales. RESULTS: The overall intra-reader reproducibility of cataract measurements (image analysis) was 0.830, and glare testing 0.998. After 6 months, 90% of NAC-treated eyes showed improvement in best corrected visual acuity (7 to 100%) and 88.9% showed a 27 to 100% improvement in glare sensitivity. Topographic studies indicated fewer areas of posterior subcapsular lens opacity and 41.5% of treated eyes had improvement in image analysis characteristics. The overall ratios of image analysis characteristics at 6 months compared with baseline measures were 1.04 and 0.86 for the control and NAC-treated group, respectively (p < 0.001). The apparent benefits of treatment were sustained after 24 months’ treatment. No treated eyes demonstrated worsening of vision. The overall visual outcome in the control group showed significant worsening after 24 months in comparison with both baseline and the 6-month follow-up examination. The overall clinical results observed in the NAC-treated group by the 24-month period of examination differed significantly (p < 0.001) from the control group in the eyes with cortical, posterior subcapsular, nuclear or combined lens opacities. Tolerability of NAC eyedrops was good in almost all patients, with no reports of ocular or systemic adverse effects. CONCLUSION: Topical NAC shows potential for the treatment and prevention of cataracts. Erratum in: Clin Chim Acta 1997 Mar 18;259(1-2):199-201. N alpha-acetylcarnosine is a prodrug of L-carnosine in ophthalmic application as antioxidant. Babizhayev MA, Yermakova VN, Sakina NL, Evstigneeva RP, Rozhkova EA, Zheltukhina GA.
Moscow Helmholtz Research Institute of Eye Diseases, Russian Federation. The naturally occurring compound N alpha-acetylcarnosine (NAC) is proposed as the prodrug of L-carnosine (C) resistant to enzymatic hydrolysis by human serum carnosinase. Rabbit eyes were treated with 1% NAC, C or placebo and extracts of the aqueous humor from the anterior eye chamber were analyzed for imidazole content by reverse phase analytical high performance liquid chromatography (HPLC), thin-layer (TLC) and ion-exchange chromatographic techniques. The topical administration of pure C to the rabbit eye did not lead to accumulation of this compound in the aqueous humor over 30 min in concentration exceeding that in the placebo-treated matched eye. NAC showed dose-dependent hydrolysis in its passage from the cornea to the aqueous humor, releasing C after 15. 30 min of ocular administration of prodrug in a series of therapeutical modalities: instillation < or = subconjunctival injection < or = ultrasound induced phoresis. Different treatment techniques showed excellent toleration of 1% NAC by the eye. Once in the aqueous humor, C might act as an antioxidant and enter the lens tissue when present at effective concentrations (5-15 mmol/l). The advantage of the ophthalmic prodrug NAC and its bioactivated principle C as universal antioxidants relates to their ability to give efficient protection against oxidative stress both in the lipid phase of biological membranes and in an aqueous environment. NAC is proposed to treat ocular disorders, which have the component of oxidative stress in their genesis (cataracts, glaucoma, retinal degeneration, corneal disorders, ocular inflammation, complications of diabetes mellitus, systemic diseases). Boldyrev AA, Dupin AM, Bunin Aya, Babizhayev MA, Severin SE “The antioxidative properties of carnosine, a natural histidine containing di-peptide.” Biochem. Inrern., 1987, 15/6, 1105-1113. Babizhayev MA et al “N-Acetylcarnosine, a natural histidine-containing di-peptide, as a potent ophthalmic drug in treatment of human cataracts.” Peptides (USA) 2001, 22(6): 979-994. Babizhayev MA, Yermakova VN, Deyev Al, Seguin M-C “Imidazole-containing peptiomimetic NACA as a potent drug for the medicinal treatment of age-related cataract in humans.” J. Anti-Aging Medicine 2000, 2, 43-62. Babizhayev MA, Yermakova VN, Semiletov yu A, Deyev Al “The natural histidine-containing di-peptide N-acetylcarnosine as an antioxidant for ophthalmic use.” Biochemistry (Moscow), 2000, 65, 588-598. Babizhayev MA, Yermakova VN, Sakina NL, Evstigneeva RP, Rozhkova EA, Zheltukhina GA “N-Acetycarnosine is a prodrug of L-carnosine in ophthalmic application as antioxidant.” Clin. Chim. Acta., 1996, 254, 1-21. Babizhayev MA, Bozzo Costa E “Composizioni farmaceutiche contenenti N-acetilcarnosina per il trattamento della cataratta.” A61K gruppo 37/00 cap 20122 MI 15.10.1993. Italian patent. Babizhayev MA, Bozzo Costa E “Pharmaceutical compositions containing N-Acetylcarnosine for the treatment of cataract.” European Patent PCT/EP 94/03340 10.10.1994 Ref. SCB 238 PCT. Babizhayev MA, Seguin M-C, Gueyene J, Evstigneeva RP, Ageyeva EA, Zheltukhina GA “L-carnosine and carcinine act as natural antioxidants with hydroxyl-radical-scavenging and lipid peroxidase activities.” Biochem J. 304, 509-516. Babizhayev MA, “Antioxidant activity of L-carnosine, a natural histidine-containing di-peptide in crystalline lens.” Biochem. Biophys. Acta., 1989, 1004, 363-371. Babizhayev MA, Deyev Al “Lens opacity induced by lipid peroxidation products as a model of cataract associated with retinal disease.” Biochim. Biophys. Acta., 1989, 1004, 124-133. Babizhayev MA, Deyev Al “Free radical oxidation of lipid and thiol groups in genesis of cataract.” Biophysics (biofizika), 1986, 31, 119-125, Pergamon Journals Ltd.
Kantha S, Wada S, Tanaka H, Takeushi M, Watabe S, Ochi H (1966), Biochem. Biophys. Res. Commun. 223, 278-292. Babizhayev MA, Deyev Al, Linberg LF “Lipid peroxidation as a possible cause of cataract.” Mech. Ageing Dev. 1988, 44, 69-89. Boldyrev AA, “Problems and perspectives in studying the biological role of carnosine” International Center for Biotechnology, Department of Biochemistry, Lomonosov, Moscow State University. Hipkiss A, (1998) Int. J. Biochem. Mol. Biol., 30, 863-868. Boldyrev AA, Dupin A, Bunin A, Babizhayev MA, Severin SE (1987), Biochem. Int., 15, 1107-1113. Wang AM, Ma C, Xie H, F Shen “Medical application of carnosine ” Department of Biochemistry and Neurobiology, Harbin Medical University, China.